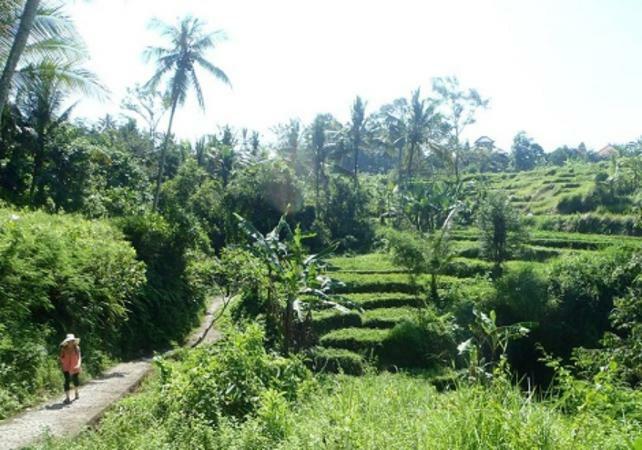 You will explore Balinese paddy fields and villages on this half-day trek! A shuttle bus will come and collect you from your hotel and take you to the Elephant Cave Temple, or Goa Gajah in Indonesian. It is a famous group of temples in Bali, built in the 18th century. Your English-speaking guide will tell you all about this splendid place. You will then follow your guide through the surrounding paddy fields and villages as you learn about the island inhabitants’ way of life. 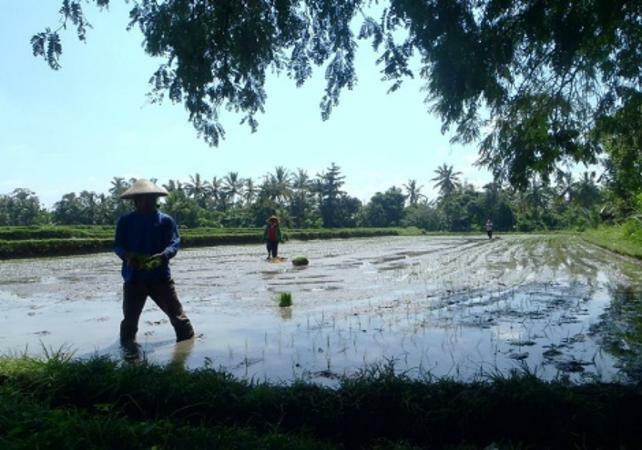 If you want, you can have a quick go at helping the rice-growers to plant or harvest rice and you can also visit a traditional dwelling. 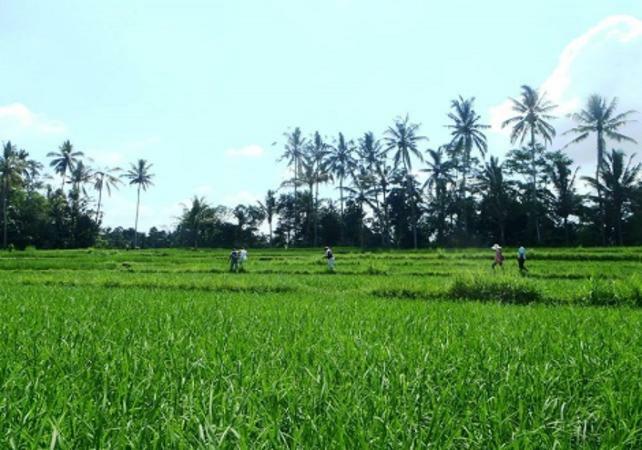 At the end of the trek, you will dine in a Balinese restaurant overlooking the paddy fields. The shuttle bus will then take you back to your hotel. Your enthusiastic guide will tell you all about the island!